There are many buzzwords in the world of work today, particularly when it comes to the area of people or “HR”. Hot topics include company purpose, employer branding and employee engagement. The good news is these are all different parts of the same thing. While not every company can offer the perks that some of the technology start-ups have become famous for, there are many other ways to offer a great teammate experience and to build a great culture. After all, every company has a culture, whether they choose it or not. So define it, live by it and choose to make it great! The employer relationship has changed drastically over the last half a century. For many baby boomers, their goal was to graduate from school, get a steady job with a good company, and grow through the ranks until retirement. The newest generation of teammates are looking for meaning and purpose in their work and if they don’t find it, they are quick to move on. For a company to be truly successful in today’s business environment, they must have a strong purpose that guides their decisions and approach to business. At Virgin Hotels, our purpose is to make sure that “Everyone Leaves Feeling Better.” This applies not just to our guests (and investors!) but also to our teammates. For us, this has been the cornerstone to creating a culture where our teammates are celebrated, supported and offered opportunities to grow and develop. 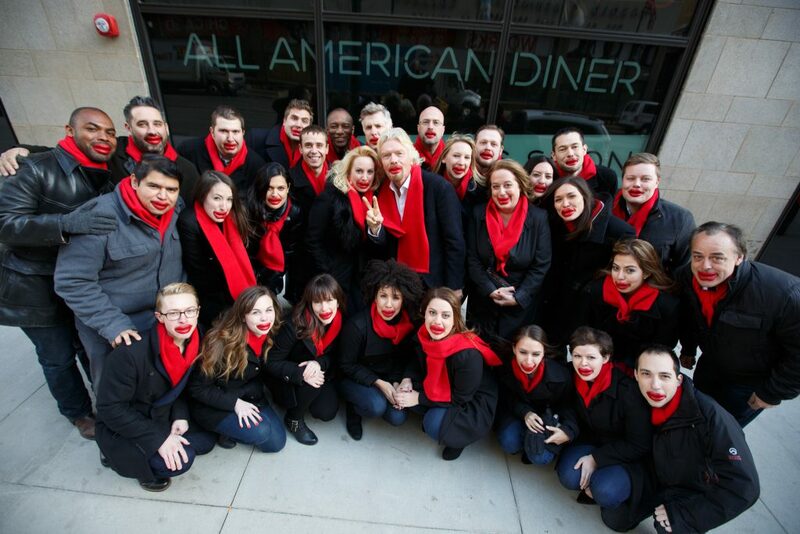 Virgin Hotels Chicago teammates celebrate the upcoming launch of Miss Ricky’s with Richard Branson, sporting a set of the diner’s characteristic red lips. A recent guest review on TripAdvisor said “Forget the great atmosphere and architecture remod for a moment, the staff is super welcoming, friendly in a way that seems odd in a world where we mostly complain about service behind closed doors.” In our industry, this personal touch is essential – after all, we are in the business of hospitality and it is our responsibility to ensure the customer feels taken care of. Every interaction that a teammate has with a guest is an opportunity to win the customer’s heart and ensure they want to come back and visit us again in the future. And every interaction we have with our teammates, allows us an opportunity to ensure they are learning, growing and empowered to be the best they can be at their jobs. 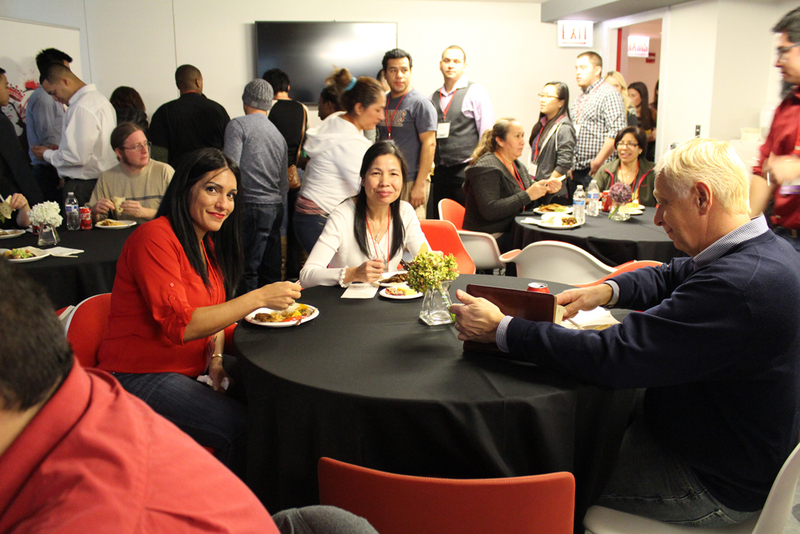 Not an uncommon site, Virgin Hotels’ teammates from across departments gather for an informal group session to socialize and learn more about each other. Before we hired our first teammate in Chicago, we mapped out the teammate experience journey to understand the touchpoints that would matter to our future teammates. We then focused on developing a strong employee brand, that carries through from our applicant process to on-boarding through to our training and daily communications. The employee brand is the link between a company’s culture and employee engagement. One of the steps we took in encouraging and enhancing our teammate’s engagement was to develop a unique internal app that is dedicated to Virgin Hotels. This platform allows us to provide on-the-spot recognition, provide learning and training opportunities, communicate important news and share fun moments and stories with our team. This is one of our unique tools whose creation was guided by our belief in our purpose – it is a way to help our employees leave feeling better, every day, and proud to be a part of the Virgin Hotels community. To paraphrase Richard Branson, happy teammates are more likely to lead to happy customers and in due course, to happy shareholders. Having a clear purpose should result in a strong company culture. These may not always be things you can put a dollar value to, but the intangible rewards of a positive work environment can be felt in many ways. To paraphrase Richard Branson, happy teammates are more likely to lead to happy customers and in due course, to happy shareholders. But apart from the financial rewards of lower turnover and improved guest satisfaction, we focus on our teammates at Virgin Hotels because we believe it is the right thing to do. Many companies put lip service to the idea of culture and taking care of their employees, but at Virgin Hotels we truly believe that our people are our greatest asset and we want to do what we can to ensure they leave feeling better for having been a part of our team.